She'll enjoy a Perfect Pregnancy Massage to help with her discomfort before baby and a Postpartum Massage for restoration and relaxation after baby. This package also comes with her choice of a "Gownie" hospital delivery gown so she will look amazing in her hospital photos to cherish for life. 6 Perfect Pregnancy Massages for the price of 5! This package includes the Butter Me Up Baby and the You Glow Girl Face Treatment to create a head-to-toe body rejuvenation. Say goodbye to the aches and pains associated with pregnancy. Enjoy your Perfect Pregnancy Massage followed by 25 extra minutes spent where it’s needed most, being pampered with the Reviving Foot and Leg Treatment. This package allows you to show her you love seeing her glow. She will start out with our Perfect Pregnancy Massage and transition to our 25 minute You Glow Girl service. Vacation coming up and pale as can be? No worries. This package allows you to experience our Perfect Pregnancy Massage with our Organic Spray Tan. Relax on the beach knowing you’ve got a gorgeous, natural-looking tan. Typically enjoyed in two separate visits for best results. $10 upcharge for the Express Tan Formula. 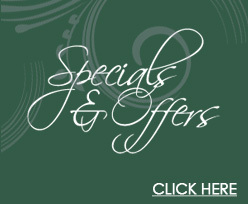 This package includes the Simply Sweet 4D Ultrasound package and any spa service up to $85. A perfect couples package. Mom and Dad will share the experience of seeing their baby for the first time with our Twice as Nice 4D Ultrasound Package and then share in the luxury of side by side massages. Our Kentucky Board Certified Massage Therapists have gone through intensive prenatal training and can provide a safe full body massage through ALL stages of pregnancy. They'll also help you choose the 100% natural massage oil best for your symptoms. You can also customize your massage with a variety of Enhancers (see below). The Perfect Pregnancy Massage extended for an additional 30 minutes. Spend some special time together before baby arrives. Couples Massage Package includes a side-by-side Perfect Pregnancy or Postpartum Massage for her and a Swedish Massage for him (may be upgraded to a Deep Tissue Massage at time of appointment for an additional $10.) This is also a popular package for mothers and daughters and two friends. Massage therapy can help facilitate the conception process physically by breaking up adhesions and increasing pelvic blood supply, and emotionally by reducing stress and cortisol levels..whether you are trying naturally or in conjunction with appropriate medical treatment. In fact, research shows the pregnancy rate for women treated with massage techniques prior to their next IVF transfer to be 63% higher than the national average success rate for IVF. Furthermore, a study published in "Health Daily News" shows that women with high cortisol levels (a measure of stress) are three times more likely to miscarry during the first three weeks after conception. Massage therapy can significantly reduce cortisol levels and therefore the likelihood of a miscarriage. Following birth, common activities can put strain on your muscles and postural alignment. Our postpartum massages soothe over-used muscles and give you renewed strength and energy. Specially designed for the new mother, with healing and restoration as the focus. Our talented therapists will combine a variety of modalities to address your specific needs. For anyone that is not pregnant... no, you don't have to be pregnant to enjoy our services. And, by the way, Dads need a little pampering too! This treatment is great for non pregnant women and expecting dads who are experiencing tight/sore muscles. Our massage therapists are skilled at working out lactic acid build-up and soothing strained muscles. Experience deep restorative relaxation and stress reduction through the precise placement of hot stones. Your therapist will use the heat from the stones and specific techniques to loosen tight muscles, increase circulation and induce a luxurious state of calm. Available for non pregnant woman and men. This combines the art of aromatherapy with the techniques of Vita Flex- "vitality through the reflexes" and feather stroke massage in the application of essential oils to various areas of the body. Bring balance and harmony to the body- physically, mentally, and emotionally. Must be added to a Massage/body treatment. Suffering from uncomfortable swelling in your hands, feet or legs? Our massage therapists can apply a special solution during your treatment that will work to reduce puffiness. Can also help with leg cramping and carpal tunnel. Must be added to a Massage/body treatment. Add a lavender paraffin treatment to your hands or feet while enjoying your massage for soft skin and a little added pampering. Must be added to a Massage/body treatment. POSTPARTUM ONLY. Let us massage your belly with an application of our potent Goodbye Stretch Marks serum from Mama Mio. Must be added to a Massage/body treatment. Our therapists will use essential oils and cold stone therapy to relieve your symptoms naturally. Must be added to a Massage/body treatment. Add hot stones to your hand and foot massage to relieve the achiness associated with increased water retention. Must be added to a Massage/body treatment. Promotes circulation and decreases puffiness and discoloration under the eyes. The hydrating benefit also addresses fine lines and crow's feet. Must be added to a Massage/body treatment. Rejuvinating massage to the face, neck, & scalp to help relieve sinus pressure and headaches while a steam treatment and warm towels will leave your face glowing. This service can also be enjoyed seperately for an additional $10. Add this 25 minute treatment to your massage to provide much needed relief to those legs and feet. After a Sugar Scrub, Peppermint Tea Tree Foot Balm and Arnica Gel are used to massage the legs from the ankles toward the heart to help reduce swelling and improve circulation. By itself, this treatment would cost $45. A Therapist creates a cast replica of your belly area to remember this time in your life and use for decoration. Should be done in your eigth or ninth month of pregnancy. The mother of all moisturizing treatments for dry, itchy skin using amazing Mama Mio products. A head to toe exfoliation & moisurizing treatment with five different products using light massage to stimulate endorphins. We begin with an application of Stretch Mark Oil with Borage Seed oil that has the highest concentration of gamma linolenic acid, an essential fatty acid essential to collagen production. This is followed by gentle skin brushing to exfoliate and improve the tone of your skin. A concentrated serum and deep treatment mask are applied to soothe and moisturize your tummy. Enjoy a relaxing lower leg and foot massage as your tummy treatment takes effect. Rejuvinating massage to the face, neck, & scalp to help relieve sinus pressure and headaches while a steam treatment and warm towels will leave your face glowing. This 25 minute treatment provides much needed relief to those legs and feet. After a Sugar Scrub, Peppermint Tea Tree Foot Balm and Arnica Gel are used to massage the legs from the ankles toward the heart to help reduce swelling and improve circulation. This service can be added to a massage for only $35. Our airbrush solution is doctor formulated, naturally looking & long lasting, even-fading, oil free, fragrance-free, alcohol-free, Erythrulose-free, Only made with FDA approved Ingredients, Eco Certified, organic, all natural, water-based, fast-drying, Vegan, PEETA approved, free of harsh dyes and chemicals, nut-free and allergen-free and hypoallergenic. Would you like to add a gratuity to your gift certificate? Capture the moment with a personally chosen design. Customize the gift certificate with an optional message. 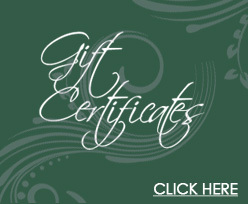 See exactly how your gift certificate looks. to the next step. You'll still be able to come back and make changes or cancel your order.